Captain Robert Emory Leonard, USN-(Ret.) 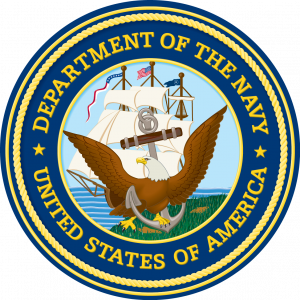 HAYESVILLE,NC – Captain Robert Emory Leonard, USN Retired, died June 5th 2018, in Hayesville North Carolina surrounded by his family. Born in Brunswick, Georgia on July 3, 1944; he grew up in Macon, Georgia. He received his Bachelor of Science in Industrial Management from Georgia Institute of Technology in 1967. He earned his wings in 1968 in Pensacola, Florida. As a helicopter pilot serving for 20 years and later Commanding Officer HS-6 from July 1981 thru October 1982, Bob served aboard many carriers and participated in numerous operations. He retired after 26 years in 1993 as a Captain. Afterwards, he lived in Lexington, South Carolina, while he worked for the State handling Medicaid Appeals Adjudication. In 2005, Bob and his wife Patsy moved to Hayesville, North Carolina. He was very active in the Hayesville United Methodist Church and in the community. Bob will be greatly missed and warmly remembered by all his family and friends. He is survived by his wife of 51 years Patricia Graham Leonard, his two sons and a daughter. Grant and Tammara Leonard, (Thomas Grant and Emory Grace); Mark and Pamela Leonard, (Hannah Mackenzie); Jill and Tony Stamps, (Lillian Mae). He is preceded in death by his parents Emory and Ida Mae Leonard. His large extended family will always love and remember “Uncle Bobby”. Memorial gifts may be sent to Hayesville United Methodist Church, Good Shepard Home Health and Hospice or Clay County Food Pantry in lieu of flowers. A memorial celebration will be announced at a later date. You may send tributes to the Leonard family at www.townson-rose.com. Townson-Rose Funeral Home is in charge of all arrangements.